Moments of Adventure: Coast to Coast Comics! Exciting few days ahead as I embark on a mini comics tour to the East Coast of Scotland and the Dundee Comic Expo over Easter (snow permitting! 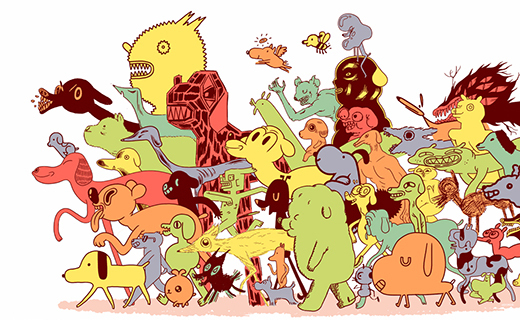 ), followed closely by a trip to the East Coast of America and New York's MoCCA Festival! And if that's enough its then only a couple of weeks until we return to London and the always enjoyable Comica Festival, but last time I checked London wasn't on the coast, let alone the East coast, so that doesn't really count as part of this Eastern seaboard tour! I doubt I'll have a chance to blog between the shows but I've posted recently on both the Dundee show and MoCCA, so check those posts and their respective sites for full details and latest news on guests etc, but if you are in the area for either - or both! - check them out and be sure to drop by the Accent UK table. In fact, if anyone is able to say 'hi' to me at both shows they can have a Free Accent UK comic of their choice, surely that's worth the expense of a transatlantic trip! The Dundee show is the first time Accent UK has exhibited in Scotland and being so close to 'home', quite exciting for me. As Dave has difficulty finding his beloved Earl Grey Tea North of Cheshire, he won't be making the trip so I'll be 'flying solo' at a show for I think the very first time so we'll see how that feels! We'll be making our third visit to MoCCA, (see here for my summary of last year's show) and as in previous visits, I'll be joined by my son Scott who will I'm sure keep me from getting lost but sadly Dave can't make this one as the 'heat' hasn't quite died down from his antics last time - this is what happens when a gentleman can't find a decent cup of tea in the big apple! In Dave's absence I doubt I'll be much help to Scott in deciphering the NBA Basketball games we should see on the pub TV but at least there should be less snoring this time! 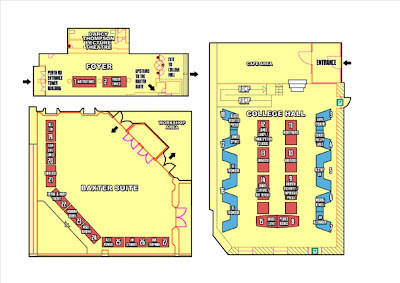 Anyway for those who can make it, the MoCCA table plan has been revamped from previous years and talks I think now held upstairs and a cafe downstairs.We'll be on E150, which you can see below if you're eyesight is good! 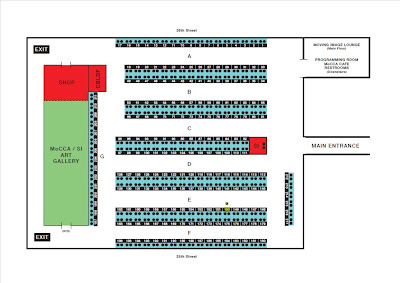 MoCCA 2013 - Who Are You? Comica Confirmed but Thought Bubbled !! LSCC - Moments of Discovery!